Using the process of using to heat to transfer vinyl to fabric and other materials. We typically use this for smaller quantities of t-shirts, hats, and other wearables. We provide the full suite of services for custom screen printing. Our designers can take your concept to reality and then produce an artwork file that can be used to produce the screen to print on nearly every type of wearable including but not limited to; t-shirts, hooded sweatshirts, polos, uniforms, jackets, sports equipment, and more. Custom Tshirts Ink can handle every type of embroidery to produce team jerseys, varsity jackets, college lettering, complex logos and more. Our in-house Twill Embroidery services allow us to produce complex custom designs while still providing a quick turnaround process, typically in a few days or less depending on the project. Looking for an outsource partner to print pieces for your custom fabrication process? 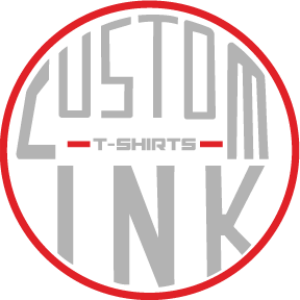 Custom Tshirt Ink started as a outsource partner for manufacturers that need custom printing on parts and assembly items that are part of an overall production or custom fabrication process. Perfect for trade shows and outdoor promotions, Custom Tshirts Ink has full ability to produce indoor and outdoor banners at affordable rates with quick turnaround times. With full finishing capabilities in-house such edge sewing, grommets, and rope/bungees for easy display. We offer short run vinyl cut stickers and in addition to large production square and circle size stickers. Custom Tshirts Ink provides a full range of promotional items that can bear your company logo or message. Previous projects include custom trophies, mugs, water bottles, and more. Contact us with your ideas and we can make them happen.